Whew--now I feel a bit better--I know who poisoned Maggie and who helped with another dastardly plan from book #1 in this delightful series! I already have book # 3 in this series so the cliff hanger at the end of this book, while bothering me--at least I know I can find out what happened relatively quickly! These books are quick reads for me and I find myself reading them in one session. Cody, the ex from Cait's past-who broke her heart by joining the navy then returned 10 years later, is slowly making his way into Cait's heart, or is he? Alice, a beautiful white cat, shows up at Cait's door and it appears she is going to try and help Cait solve the mysteries surrounding them. Cody has decided to stay and live with old Mr. Parsons. He is going to try to put the old newspaper office back in shape and start a brand new newspaper--so what more could go wrong--guess we'll all have to read book #3 to find out. When a cat named Alice comes into her life, Cait begins to suspect that Alice may hold the answers to the mystery surrounding the body she found in the church as well as the person behind her aunt's illness. Join Cait and her feline and human friends as they track down a killer and save a community. Hmmm, I wonder what secrets Alice will help to reveal. Sounds good! Not really my kind of book but it seems like it could be interesting for those into mysteries. Really neat idea though! Sounds like a purrfect (see what I did there?) title for our pre-teen. She loves cats, but is allergic to them. 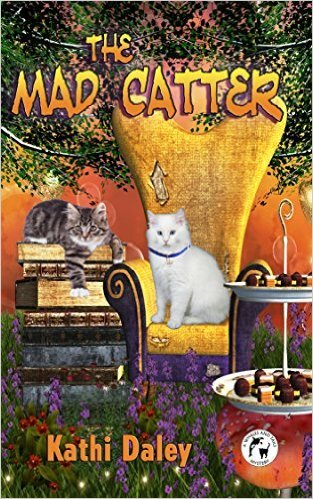 I like the title of the book, The Mad Catter. Cute! I like short reads and mysteries so this sounds interesting. I love the title of this book! I am also a fan of a good mystery book. 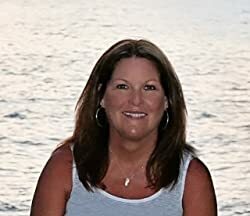 I enjoy reading mysteries,they keep me hooked on the book until I am done reading it! Wow. This sounds like a fun twist. I would love to read the book. This sounds like a great book. Mysteries are always fun to read. My daughter loves books with animals in it!! This sounds like a good read and the mystery sounds good to! Amazing how Kathi keeps these stories coming! She's so creative! This sounds like a great mystery series indeed. I love that the authors has the cats in the book helping solve the mysteries. Thanks for a great review.